The benefit of this technology over the current sonar technology the Navy uses is that seals do not have to send any sound or wave out. Their whiskers gather information based solely on what is coming in. McDermott wrote that researchers are attempting to “reverse-engineer the system” that is built into seal whiskers. Such reverse-engineering begs the question: If highly intelligent scientists are attempting—so far without success—to reverse-engineer the technology behind seal whiskers, then the original Engineer must have been more intelligent than those who are now attempting to understand the design. Such examples of humans looking to nature to find usable technology (often called biomimicry) validates the conclusion that there is a Grand Engineer behind the workings of the world. The idea that random, chance processes of evolution worked over millions of years to “design” a system such as that found in seal whiskers does not provide an adequate or rational answer. If it takes intelligence to reverse-engineer it, then it took intelligence to engineer it in the first place. 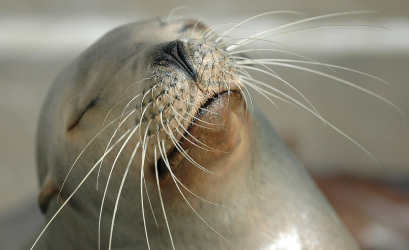 McDermott went on to state that seal whiskers are not the only natural technology that has peaked the interest of the U.S. Navy. She wrote: “The Navy, which is also funding bio-inspired work at universities, has taken a greater interest in the field in the past decade. Animals do things well that the Navy wants its underwater vehicles to do well.” When we look to the natural world that God, the Grand Engineer, designed, we can truly see that the beasts, cattle, great sea creatures, and even the whiskers on a seal bring praise to the Lord (Psalm 148:7-12). 1 Jennifer McDermott, “The Seal Whiskerers: Navy Looks to Sea Life for New Ships,” Associated Press, 2017, http://abcnews.go.com/Technology/wireStory/seal-whiskerers-navy-sea-life-ships-46136863.